While the Ukrainian-Russian gas conflict is affecting both Ukraine and Russia, Europe is earning money from it. Since 2015, Naftogaz of Ukraine has been buying Russian gas indirectly from European traders. In its turn, Gazprom is building bypassing pipelines, and this means not only cheap gas but also new jobs for Europe. European companies have already earned as much as $10bn as a result of the conflict. But experts are not sure who will be the beneficiary in the long-term future. In late Nov 2015, Naftogaz of Ukraine stopped buying gas from Gazprom and has bought 25.2bn c m for $5.42bn from Europe ever since. Almost 72% of the gas or 18bn c m was imported from Slovakia. And it was Russian gas: it first ran through Ukraine to Europe just to come back to Ukraine again. EADaily has calculated how much the EU has earned as a result. According to Ukrtransgaz, from Dec 2015 till Mar 2018, Ukraine imported from Slovakia as much as 20bn c m. In our calculations, we used the average monthly imported gas price reported by Ukraine’s Economic Development Ministry and the average Russian gas price in Index Mundi. Over the last two and half years, the difference between those two prices has ranged from $4.9 to $50.7 per 1,000 c m. As a result, we have calculated the total margin between what Ukraine has paid and how much those 20bn c m would have cost for European consumers: it is $613mn. This is the sum European traders have earned by reselling Russian gas to Ukraine. In 2016, Naftogaz of Ukraine bought gas from 14 European suppliers, in 2017 from 13. The biggest of them are Gazprom’s old customers, who enjoy certain discounts: Engie S.A. of France, RWE Supply & Trading GmbH and Uniper Global Commodities of Germany, Axpo Trading of Switzerland and the Dutch-British Shell Energy Europe Limited. Three of them are Gazprom’s partners under the Nord Stream 2 project. In 2017, году RWE Supply & Trading GmbH, Engie S.A., Axpo Trading and Uniper Global Commodities sold Naftogaz 5.5bn c m or almost 70% of all of its imports. And their prices were higher than the average monthly price reported by Ukraine’s Economic Development Ministry. In Jan 2018, the Ministry’s price was $272.9 per 1,000 c m, while according to Importgenius, during the same month, Engie sold Naftogaz 13.4mn c m for $282 per 1,000 c m, RWE sold 49.3mn c m for $279.4 per 1,000 c m, Uniper Global Commodities sold 5.1mn c m for $285.9 per 1,000 c m and Axpo Trading sold 15.4mn c m for $309 per 1,000 c m.
It was obvious that the reverse supplies would benefit Europeans agents. The loans provided by the EBRD and guaranteed by the WB stipulated this, says Co-chair of the Energy Strategies Fund Dmitry Marunich. 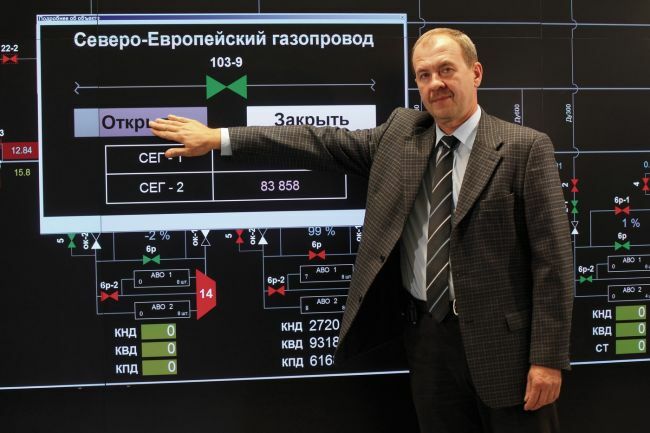 For example, the EU-controlled Czech energy group CEZ supplied Naftogaz with 233mn c m last year. “The high reverse gas prices are affecting not so much the agents or Naftogaz as the consumers and the state, which is forced to pay subsidies to the population. The gas tariff for the population, state-funded organizations and communal heating enterprises are fixed by the government and should be equivalent to the imported gas prices. Last year, they were not raised. This is why the IMF insists on a 35% raise,” Marunich says. The only good thing about reverse supplies for Ukraine is that now it is earning more from the transit of Russian gas as part of it is coming back from Slovakia. According to Ukrtransgaz, in 2016 and 2017 as compared with 2015, gas transit to Slovakia grew by 11bn c m and 16bn cm, respectively. During the same period, Ukraine received from Slovakia as much as 18bn c m. Gazprom paid for the transit of this gas more than $522mn. This is a kind of a compensation for expensive European gas. Gazprom decided to build Nord Stream 2 following the Maidan and the new gas conflict with Ukraine. On the one hand, it will save the Russians from an unpredictable partner and its outdated gas network, on the other hand, it will benefit Western Europe. Last autumn, ewi Energy Research & Scenarios published a survey saying that in 2020, wholesale gas price in Europe will be 8% or 15.6 EUR lower if Nord Stream 2 is built. As a result, the EU will spend 24.4bn EUR less on gas. Nord Stream 2 will certainly benefit Gazprom’s key partners in Western Europe – Germany and France. The Poles have already said that they are ready to extend their contract with the Russians if they offer them the price they have offered to the Germans. But this is not the whole of the benefit. According to Arthur D. Little, as much as 59% of all investments in Nord Stream 2 will go to the EU. According to the survey, the total economic benefit created as of July 2017 for the European Union, which is receiving 59% of total investments, is over 5.15bn EUR, creating around 31,000 full-time equivalents, over a period of five years and adding 2.26bn EUR in GDP. As many as 25 out of 27 contractors are from Europe. As much as 1.8bn EUR is to be spent on the purchase of pipes in Germany. Finnish companies will get contracts worth 174mn EUR, Swedish companies 100mn EUR, Danish companies 60mn EUR. Among the beneficiaries will also be companies from the UK, Italy, the Netherlands and Norway. New order at Gazprom’s expense? U.S. sanctions against Europe’s contracts with Russia are the key threat to Nord Stream 2. According to The Wall Street Journal, Germany has asked the United States to make an exception for German companies. This news enraged Ukrainian politicians: “German AGs are eager to earn lots of euros! As regards democracy and the combat with corruption, German mentors will give you a lecture about this midway between the lunch and the dinner. Do you still doubt that there is a backstage collusion concerning Nord Stream 2? This is a kind of economic Molotov–Ribbentrop Pact 2018,” Ukrainian MP, PACE Vice President Volodymyr Ariev said on Facebook. Nord Stream 2 will undoubtedly be good for Germany and the Germans have supported it from the very beginning. However, during her last meeting with Ukrainian President Petro Poroshenko, German Chancellor Angela Merkel said that Nord Stream 2 would not be implemented if gas transit via Ukraine was stopped. Gazprom’s Deputy CEO Alexander Medvedev replied that termination of contracts with Naftogaz did not mean stoppage of the transit. During a press-conference in Berlin, he said that Ukraine had to prove the economic appeal of the transit. Earlier, Gazprom said that it might cut its transit via Ukraine to 10bn-15bn c m after 2019, while Ukraine said that it would not go below 60bn c m.
The EU will once again act as an arbiter in this gas dispute. The Europeans will try to preserve the status quo: Nord Stream 2 will be built but it will be controlled by Europe. The Ukrainian transit will be preserved. Some experts believe that the Stockholm arbiters’ strange decision that Gazprom should paid Naftogaz 2.5bn EUR under the transit contract is a kind of a compensation for Nord Stream 2. Gazprom is not going to pay the money and refuses to lower its price for Ukraine. This scenario is also good for Europe. The only question is if it will be able to fix this status quo. According to senior analyst at the National Energy Security Fund Igor Yushkov, it is early yet to say who will win and who will lose in the Russian-Ukrainian gas dispute. “The winner for the moment is Europe and its traders. But I can’t say who will win in the long run. If the project is wrecked, it will be a loss for European consumers and a kind of a victory for the Americans, who would love to control the Russian transit and to sell their LNG to Europe. So, for the moment I can’t say who will win. We will see it on Jan 1, 2020,” Yushkov says.